Have you ever sat on a bus, a boat, a train, or an airplane and read a book? You probably have, as reading and travel have gone hand in hand for centuries. While your physical body is carried along by your chosen mode of transportation, reading can take your mind on an inner journey, a journey through your imagination. More than any other visual medium the act of reading can take you to new places; literally and figuratively. The books below represent a selection of novels that sparked our imagination so profoundly that we actually stopped talking about wanting to travel, stopped hoping for the day we WOULD travel, and decided to just get on with it. 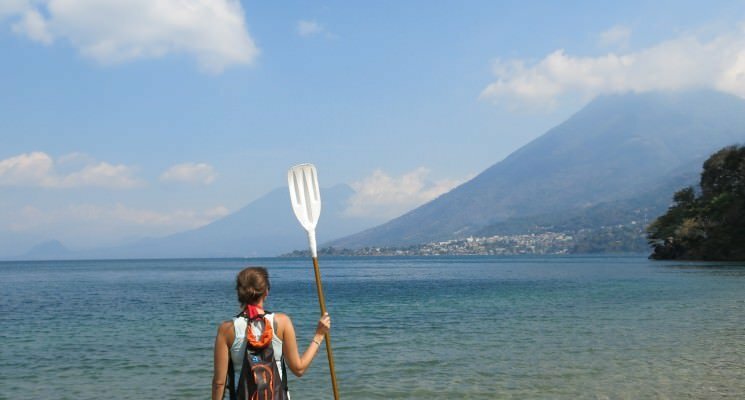 Essentially, these are the books that inspired us to travel the world. I adore each of these five books. They not only inspired me to travel but also inspired me to fully and unapologetically embrace who I am, listen to myself, and follow the inner voice that had been telling me I wasn’t living the life I should be living. Each book has strong, non-conformist leads that I felt a connection with, and was influenced by in some way. As I read about China, South America, Australia, Europe, and the Pacific Coast of the United States, my desire to travel grew stronger and stronger, eventually leading me down a path that would change my life forever. 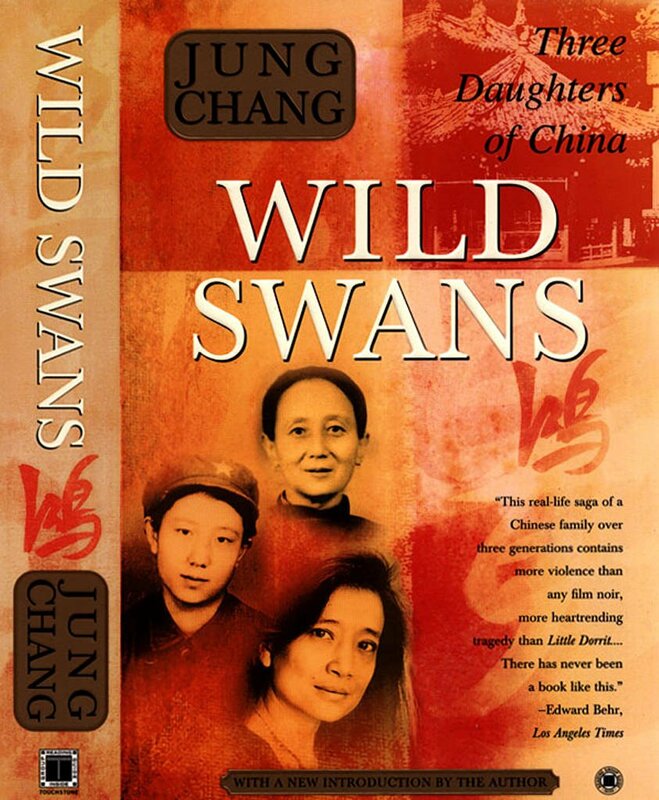 Wild Swans is based on the fascinating and often heartbreaking tale of three generations of Chinese women. The author, Jung Chang, recounts the lives of her grandmother, who was sold by her father to a warlord to be one of his concubines, her mother who was a member of the Communist Party of China and Mao Zedong’s Red Army, and her own life growing up during the The Cultural Revolution. Each woman faced oppression and injustices imposed upon them by their country and culture including body mutilation, torture, slavery, brainwashing, and forced labor among other horrors. Each engaging, moving, and eye opening account provides a window into life in China and the country’s history through the eyes of women who endured more than their fair share of hardships. Not surprisingly, given the content, Chang’s book has been banned in China since it’s publication in 1991. In fact, the author, who lives in the UK, is rarely allowed to enter China and if she is, is only allowed to visit with and speak to family members. When I traveled to China the first time, I knew very little about the country’s history and culture. I found it to be a strange and beautiful place that felt chaotic, unfamiliar, and culturally unlike any other place I had visited previously. A few weeks after I left China I read Wild Swans and was consumed by the lives of these three women, their culture, and the history of their country. When I returned to China a few months later I saw it a different light, not critically as you might expect, but rather with some shred of understanding and awareness. It made me feel a certain familiarity with the people and their recent history. Click here to buy Wild Swans! Click here to buy Wild Swans for your Kindle! 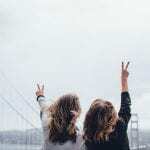 Wanderlust is a book for every female misfit with a desire to travel. 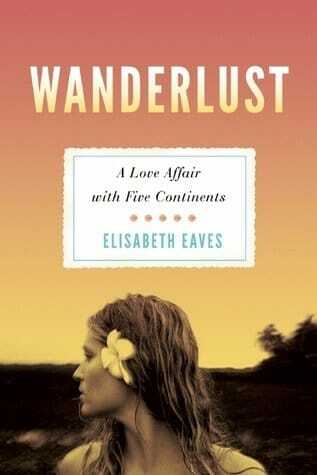 Elisabeth Eaves’ story is a brutally honest and open account of her travels over the span of 15 years, 5 continents, and a number of lovers. Refusing to conform to the strictures placed on women in Western societies, Elisabeth embraces her love of exploration as she hops from country to country, continent to continent, and lover to lover in search of herself and a life she can feel satisfied with. I connected with Elisabeth’s spirit when I read the book but her travels were very different from the ones I had experienced at the time. There were no expensive hotels, no two week vacations, no private cars from the airport. 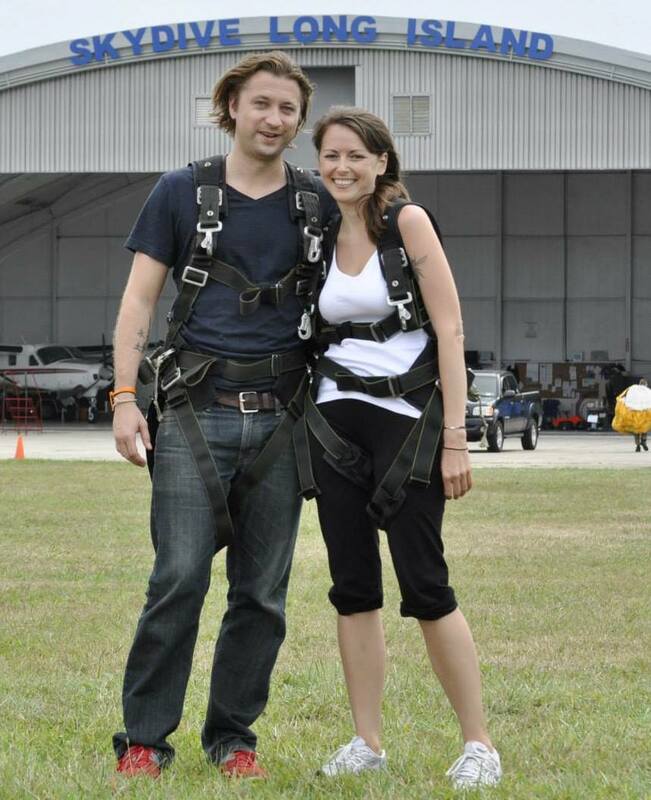 She quit her life, left all security behind and embarked on a journey into the unknown. I read Wanderlust during a time that I felt completely lost and frustrated. I had the nagging feeling that there was something more to life than a daily routine and the struggle to exist in a system that made me unhappy. 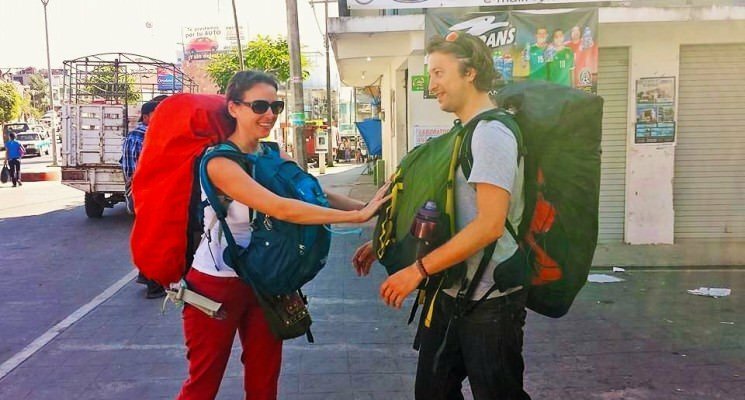 This book helped me to realize that it was possible to pursue an unconventional lifestyle, listen to my “heart”, and consider the possibility of long term travel. Click Here to Buy Wanderlust! Click Here to Buy Wanderlust for Your Kindle! 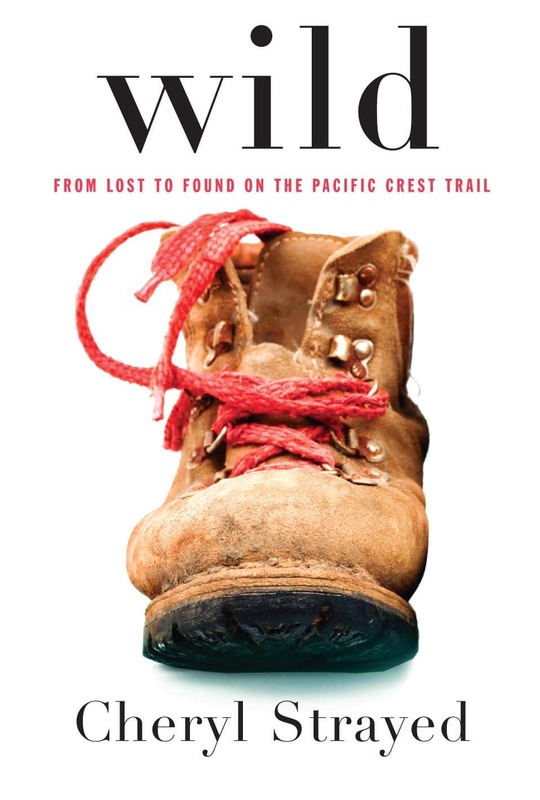 Wild is the story of Cheryl Strayed, who set off to hike the Pacific Crest Trail alone at the age of 26. Strayed knew absolutely nothing about hiking or what she would encounter on the trail but vowed to complete it in its entirety regardless. Her 94 day hike from California to Oregon was a journey of self discovery through the solitude she experienced with nature and her thoughts as her only companions. What I loved about this book was the fact that Strayed was completely lost and living a toxic life that would have eventually led to her demise. Rather than submitting, she took her future into her own hands and set out on a journey that many would call foolish. She made plenty of mistakes along the way but because she believed in herself and her mission she found herself along the way. She inspired me to have faith in myself and the things I wanted to accomplish. Click Here to Buy Wild! Click Here to Buy Wild for Your Kindle! A person doesn’t become one of the most important revolutionary figures in history by accident. There is always a story, a journey, a reason why someone like Che Guevara was who he was and accomplished what he accomplished. 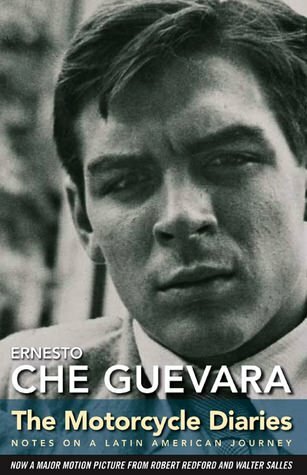 The Motorcycle Diaries is a glimpse into the life of Ernesto Guevara before he became “Che”. This book is based on the memoirs of Guevara as a young medical student as he traveled throughout South America with a friend. Along the way he witnesses the hardships and struggles of poor and exploited people in the countries he visits and began to ponder a different route in life. I was drawn to the stories about his interactions and reactions to the people he met along the way and his internal struggle to determine his purpose in life. Reading about these human experiences through travel and how he was changed because of them left me with an even greater longing to set off and explore the world we live in and meet people from all cultures, geographies, and and economic backgrounds. To change because of them and to also try to make a difference in their lives if possible. Click Here to Buy The Motorcycle Diaries! Click Here to Buy The Motorcycle Diaries for Your Kindle! French cinema is what initially caused me to become enamored with Paris and end up visiting the city five times in the last 5 year. The Aimée Leduc Series provided me with a way to explore “The City of Lights” when traveling to France’s capital wasn’t possible. 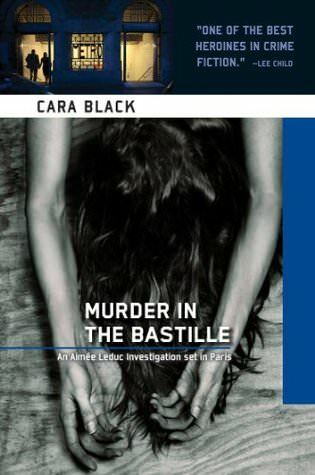 The books centers around a young and independent french woman named Aimée Leduc who finds herself investigating murder mystery after murder mystery in many of Paris’ most well known neighborhoods. Her insatiable curiosity and need to discover the truth about these crimes lead her through the streets of Paris where she encounters odd characters in typically unknown areas and establishments in the city to discover revelations about the murders as well as her own family tragedies and mysteries. I read these books when I lived in London and longed to escape what I felt was a dreary city lacking in interesting, eclectic, and diverse places and personalities. They allowed me to explore Paris through the eyes of a local in a way I could never do during my all too brief trips there. Click Here to Buy the First Book in the Aimee Leduc Series! Click Here to Buy the First Book in the Aimee Leduc Series for Your Kindle! I will always and forever be grateful to my parents for instilling within me a passion for the written word. From as early as I can remember I was reading in one form or another. Books allowed me to explore new people, new places, new concepts, and ideas. I loved getting wrapped up in a book, transported to the landscape of the author’s design. 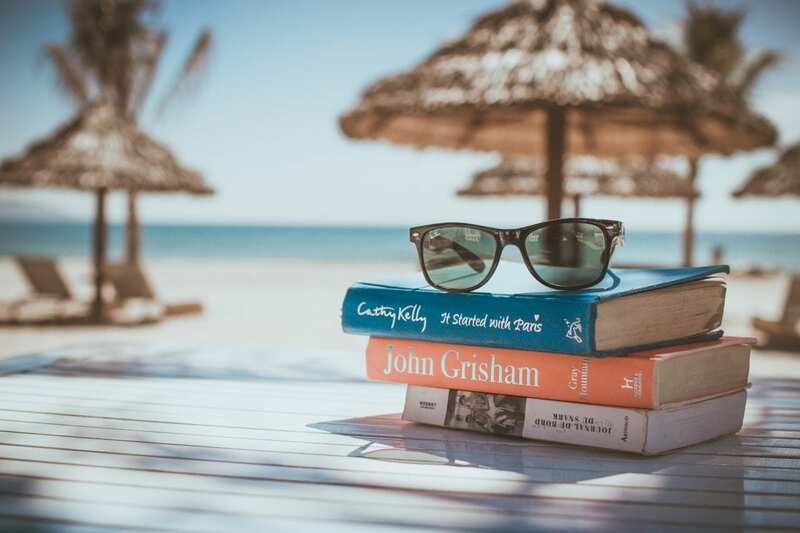 Some of the books below might be considered odd choices for a travel inspiration article, but each and every one of them served to fuel my wanderlust, and lent me courage to set out to explore the world. 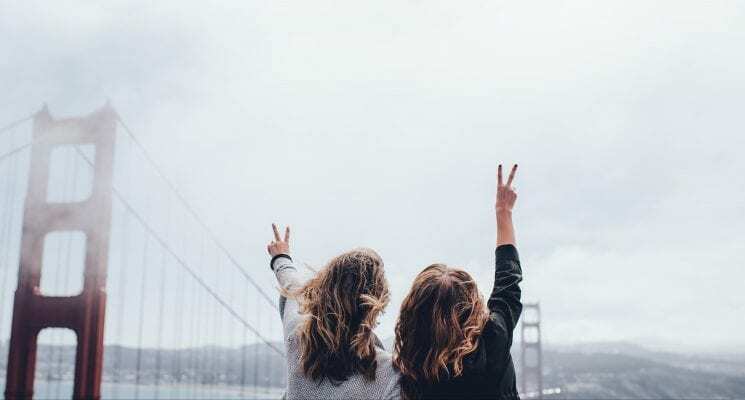 The quintessential American classic about hitting the road was supremely important in providing me with some of the courage I was looking for to pursue my dream of traveling. 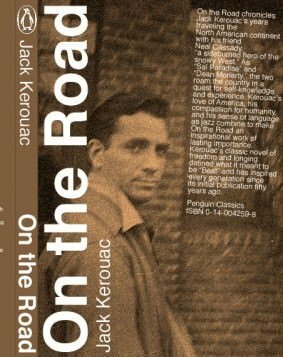 Kerouac’s dynamic style and frantically frenetic pace conveys a tantalizing sense of excitement, which certainly served to fan the flames of my suppressed wanderlust. Most of the book takes place in the United States and depicts cross country jaunts in pursuit of music, love, and life. However, the most impactful portion of Kerouac’s novel, for me, occurs in Mexico. The two American protagonists decide to drive to Mexico City, and are exposed to an entirely new world during their journey. They marvel in exuberance at the many differences in this totally unfamiliar land they find themselves traveling through. As a reader I was amazed how foreign the country seemed to them considering it’s the next door neighbor to the USA. I realized, at that moment, that I didn’t have to travel halfway around the world to end up somewhere “exotic”. If you haven’t read this book yet, you must. Period. Click Here to Buy On the Road! Click Here to Buy On the Road for Your Kindle! Known for his wonderful and wondrous travelogues Bryson appears on almost every list of “Travel Inspiration” novels out there. A Short History of Nearly Everything is certainly not the Bryson book many would pick as their inspiration to travel. However, this book does depict a journey, the journey of man emerging from the dark ages of his own ignorance, traveling through the horrifying tunnels of accumulating knowledge, and realizing…well, that he knows next to nothing. 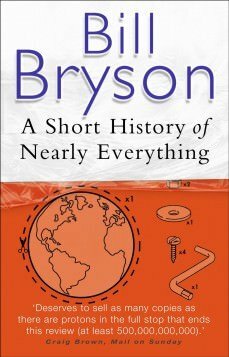 Bryson expertly traces and charts the course of mankind’s evolution of scientific theory, and does an absolutely phenomenal job of depicting how small humans really are, and how brief our lifespans end up being when compared to the universe’s machinations on a cosmic scale. Click Here to Buy A Short History of Nearly Everything! Click Here to Buy A Short History of Nearly Everything for Your Kindle! George R.R. 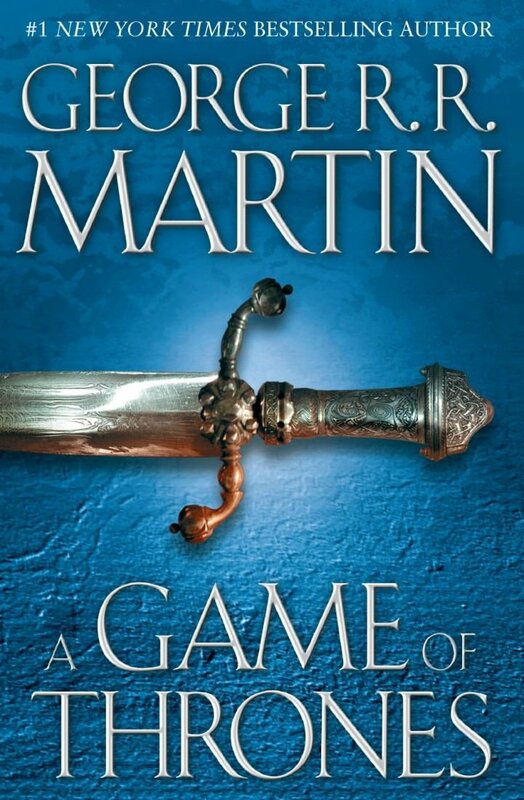 Martin’s epic and exceptional fantasy series has gained worldwide acclaim since its conversion into the sub-par (but we won’t get into that here and now out of fear that this will turn into a huge rant) HBO mega-hit, A Game of Thrones. Long before Dany Targaryen and Jon Snow were brought to life in the television show, they were prancing around my imagination as I devoured these books time and time again. I think I’ve read them at least thrice each at this point. So what is it about this series, which is filled with intrigue, betrayal, wheels within wheels of plots and schemes, dragons, knights, and battles that inspired me to travel? One of the many talents that George Martin possesses as a writer is the ability to turn a fictional landscape into something that feels real, something that comes to life inside the unknown depths of your imagination. His descriptions of the many journeys his characters undertake, whether it’s John Snow ranging beyond the wall, Tyrion floating down the Rhoyne River, or Dany traveling across the Great Grass Sea, are filled with wonder. There is a tangible sense of exploration, for both the characters and the reader. While the places in these books are the construct of GRRM’s prodigious imagination, the portrayal of the journey feels very real. Click Here to Buy the Song of Ice and Fire Series! Click Here to Buy the Song of Ice and Fire Series for your Kindle! The tale of a family forced to uproot their lives and become migrant workers due to the Stock Market Crash of 1929 and the Dust Bowl storms might be seen as another head scratching choice for travel inspiration. True, most of the book focus on the characters and their interpersonal dramas rather than their journey. However, there is a deal of time spent on describing the family’s trek from Oklahoma to California as a group. The passing terrain is a tertiary (but powerful) character in the novel, and the family’s adventures, dramas, discoveries, heartbreaks, loss, and growth all play out against the striking middle American landscape. I read this as a very young teenager and was especially enamored with the travelogue portions of the prose. The journey of the family, the hardships they faced in hopes of finding a better life beyond the horizon, and the descriptions of the land itself struck a chord of wanderlust that reverberates to this very day. 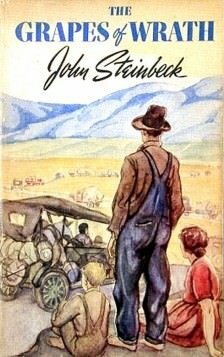 Steinbeck loved writing lavish verses extolling the beauty of California and the Salinas valley, and this book made me want to trace the path of these characters, and see what they saw. Click Here to Buy The Grapes of Wrath! These days I have all but stopped reading guide books. They are costly, cumbersome, and not as easy to search as Google is. In a way, travel guide books are a fossil, going the way of newspapers. Which is a little sad, to be honest. 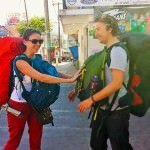 When I first started traveling I took great joy in acquiring a new guidebook, it signified the start of a planning session for a new adventure to a new part of the world. The very first guidebook I owned was a Lonely Planet Guide to Peru. I borrowed it from a friend on a whim one day, back before travel wasn’t much of an option for me, and kept it in the bathroom (I know, TMI) as reading material. And there it stayed for a year or so, teasing me with the possibilities of venturing out into the world, and exploring places I had only read about and stared at pictures of. Peru was a totally abstract concept in my mind until this book, and it just happened to be the first country I visited when I finally decided to buy a ticket, quit my job, and journey down to South America for two months. It seems a long time ago now, as in the 5 years that have followed from that fateful day I have become a bit of a global nomad. And while I no longer spend my money on these sort of books, I will never forget what this particular travel guide did for me. 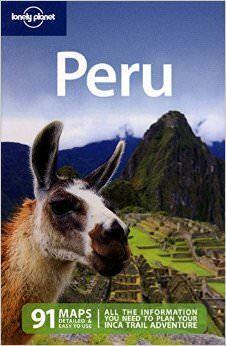 Click Here to Buy the Lonely Planet: Peru Guide! Disclaimer – As you can see we included handy little affiliate links for the above books, in case any of our readers want to order them from Amazon. We receive a small commission for any sales made, without any additional cost to you, our dear reader. Love this post! I have read several of the books on both lists, and agree that books can serve as real inspiration for travel. I also cherish the memories I have of reading a good book while traveling. I always seem to remember the books more vividly, and recall where I was during various parts of the book – oftentimes in a random way. For some reason, The Kite Runner is inextricably linked to my 2007 train ride through eastern Italy. 🙂 Great blog! Thank you! I agree, there is something special about traveling to a different place/time/world through books when you are actually traveling yourself. I read East of Eden last year when I was in Nicaragua and I will always picture myself in that hammock poolside in San Juan del Sur when I think of that book. I love Wild Swans. Wanderlust is on “the list” to read. Recently read A Good Girl’s Guide to Getting Lost and it was one of my new favorite travel books. Yes Wild Swans really moved me in so many ways. I unexpectedly connected to each of the women in the book and thought about them constantly for months after reading the book. In face, I think it’s about time I read it again. I hope you enjoy Wanderlust. Please let us know what you think once you finish. Will check out A Good Girl’s Guide to Getting Lost! Thanks for the tip! Oh that is so exciting! I hope she has a fantastic time. Loved this post because I love to read too! When you just can’t get away for a trip you can always pick up a book and travel. Right now I am reading Alice Hoffman – A Marriage of Opposites which takes place in St. Thomas in the Caribbean … awesome read, very descriptive … feels like I am totally there! Read Behind the Beautiful Forever’s … true story, India! The Lobster Kings if you want to head to Newfoundland. For something really different Reeds in the Wind. Grazia Deledda from Sardinia, Italy. By the way … if you haven’t been there you MUST!!! ps Game of Thrones is one of my all time favourite series! Yes, so true! Reading is such a nice vacation for the brain. The book, A Marriage of Opposites, sound fantastic! I’ll have to check it out. Thank you for all of the recommendations! Love this list. What you read as a child makes such a strong impression. Jules Verne had a big impact on me, esp. Around the world in 80 Days. Nice! I’ve never read his books but they sound fascinating. Thanks for sharing. I have read Bill Bryson’s A Short History of Nearly Everything. It opened my eyes to some amazing facts and information about this small world we live in. A must read for anyone. Yes, it was an incredibly interesting and insightful book and I agree, everyone should read it. Great list guys. The Motorcycle Diaries is one of the only instances when I preferred the film to the book. I wanted to love it, but his youthful cockiness grated with me a little. What an adventure though! Yes, to me the book and the movie were very different. But I actually loved them both! Any of Dervla Murphy books…..
Great list! On the Road is one of my favourite books of all time – a seminal tale in the travel literature canon, and love it’s freewheeling style (so I don’t think it’s just ‘typing’ as some do, hehehe!). Wild Swans sounds a really thought-provoking and eye-opening read. Thank you for sharing. Indeed it is! Hope you enjoy it! Love the list! I am definitely buying wild swans! Monika, I hope you enjoy reading Wild Swans as much as I did! You’ve got some pretty great books here! And some that I need to read! I have read several of those books over the years, but when I was a lot younger I was inspired greatly by Dervla Murphy’s “Full Tilt”, Robyn Davidson’s “Tracks” and Paul Theroux’ “The Great Railway Bazaar” to name just a few excellent reads. You’re right about the Bryson books, all very witty and readable ! There’s so many good books out there it’s quite hard to narrow it down. One of my favourites is ‘Harbours, Girls and a Slumbering World’ by James Page-Roberts. In it he travels from UK around the world in the late-50s, of course the world was a very different place back then but what makes the book so original is that he illustrates it with free-hand sketches done at the time – worth a look if you can get hold of a copy ! Another big fave, I guess they must be as I’ve read them countless times, is ‘In Search of Conrad’ by Gavin Young – though it helps if you’re a bit of a Conrad nut like me ha ha !! Anyway, great article, happy reading, happy travels !! Excellent list of books! Much the same for me regarding your Lonely Planet guide, except mine was France. Took me many years but finally did it, and was so enthralled with the country that I was still reading the guide on the plane on the way home! In denial I suppose… Anyway, my recommendation is “Voyage of The Beagle” by Charles Darwin. Highly readable, the story of the young naturalist’s first voyage away from home, and man was it a voyage! Imagine attempting 4 or 5 crossings of the Straits thru Tierra del Fuego in an 1800’s sailing ship, because the wind forced you back so many times, and then seeing naked indigenous folks up on the cliffs in the freezing cold, and then imagine STOPPING to parlay with them! 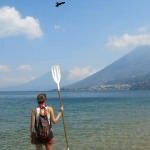 He inspired me to take my best trip ever, to the Galapagos Islands. Although I am not a great reader, I love A Song of Ice and Fire, by George R.R. Martin. I will not watch the show until I finish reading the books. It does inspire me to explore new lands.